Hey-O! Me and the kids (mostly Finn) have got our tiny veggie garden all planted and ready to grow! 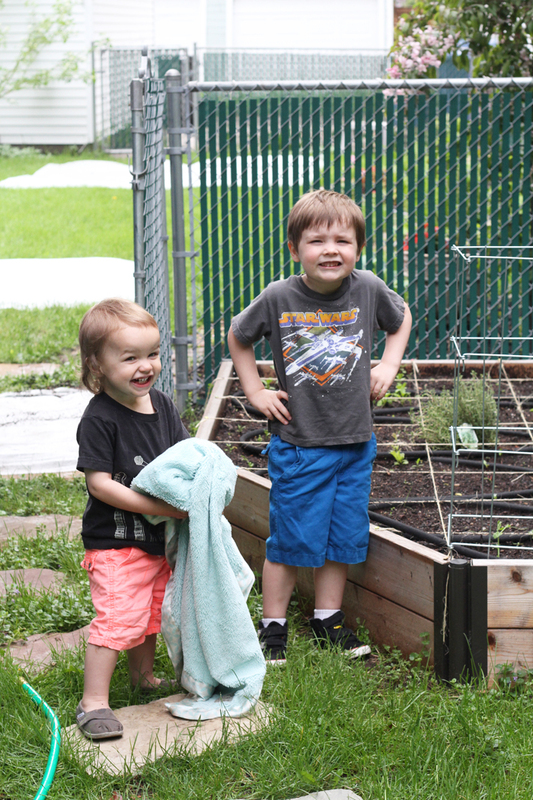 I love our little garden, it’s so much fun and both me and the kids get so much enjoyment out of watching and inspecting our veggies, looking for signs of new growth. 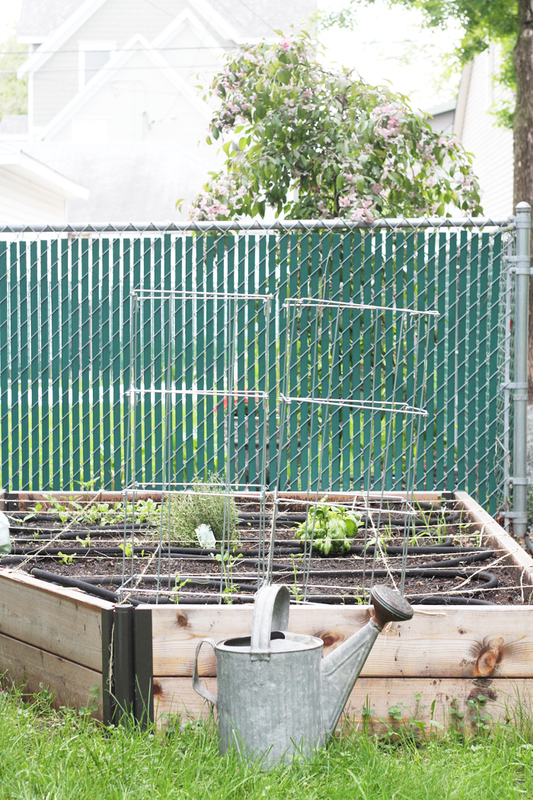 When I was a kid my mom (and dad by default) had a veggie garden in the backyard, and although I was only somewhat interested in it at the time, I think it’s where my love of gardening comes from. I remember having to go out and pick beans for supper, and if I got hungry when I was out in the backyard playing I’d grab a radish for a snack. I think those things stick with us, and it’s something I want to instill in my kids. Even if our garden is little, it my be the root of a lot of good outdoor (and healthy) memories for my kids. We’ve gone with a lot more shade loving veggies this year, although the garden is on the south side of our house, it doesn’t get enough sun to be a good home to tomatoes and peppers. That’s okay, we all love greens around here! Look at those kids! Gus has maybe the best smile ever, and his mullet is still in full effect. No I haven’t cut his hair, not even once, it just magically grows that way! Finn still has a hard time figuring out what being photogenic is, and often his smiles come across more as growls. That’s what happens when you yell the word “cheese!” through gritted teeth. Okay, I hope this works for you, trying something new with the old internet codes. The above image should fade in and fade out when you move your cursor over the top of it. 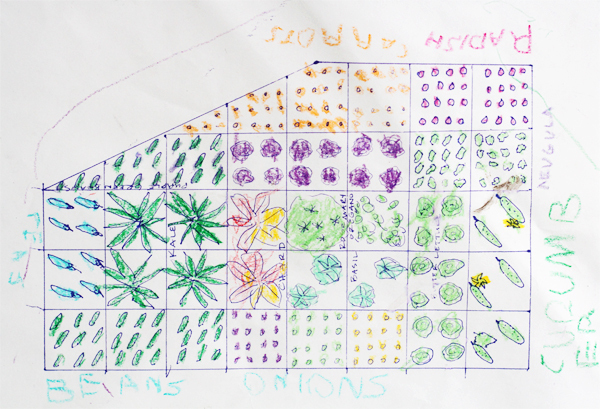 This is a drawing (aka map) that Finn and I made earlier this “spring” of our garden. 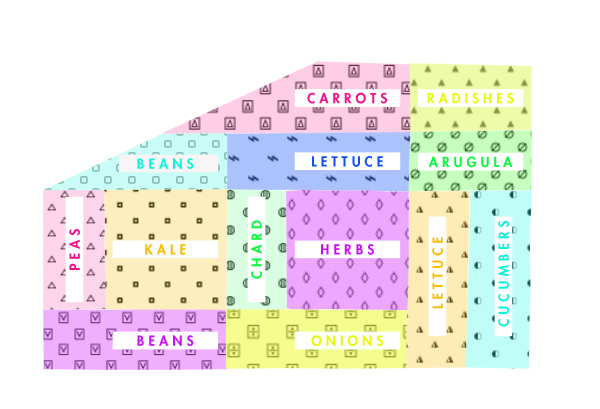 This garden map is essential to planning and purchasing our seeds. Plus it helps us plan for early spring plantings. Neato! My garden is finally going in this weekend. 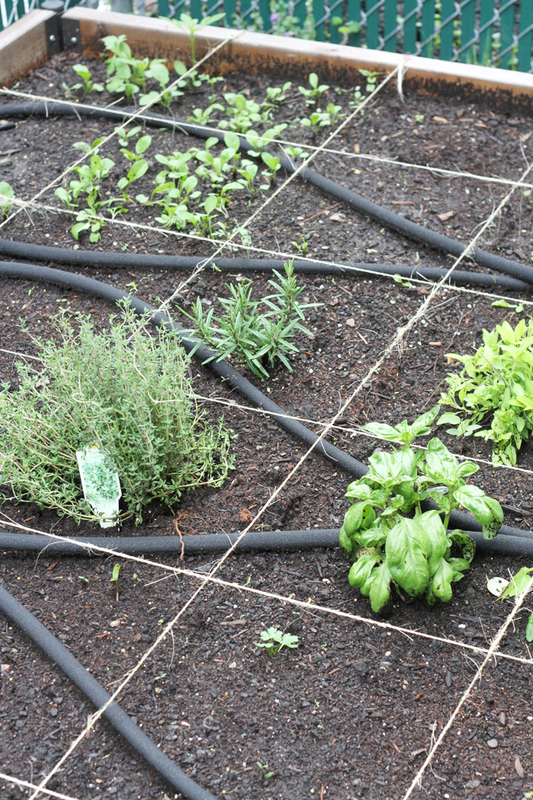 Have you had drip watering in your raised bed before? We just installed it, and I think it will mean freedom. Hand-watering 96 square feet of raised beds, plus our perennials was time consuming and required a lot of generous help when we went to the lake. Now, lets hope the sun comes out! Yes, Thanks for reminding me. I meant to mention that I am trying the soaker hose for the first time. So far I have used it a grand total of 1 time. We’ve had so much rain there has been no need to turn it on. I too, am hoping that it will help me with the watering (aka babying) of the garden. You’ll have to let me know what you think of yours once we get into the hotter months.